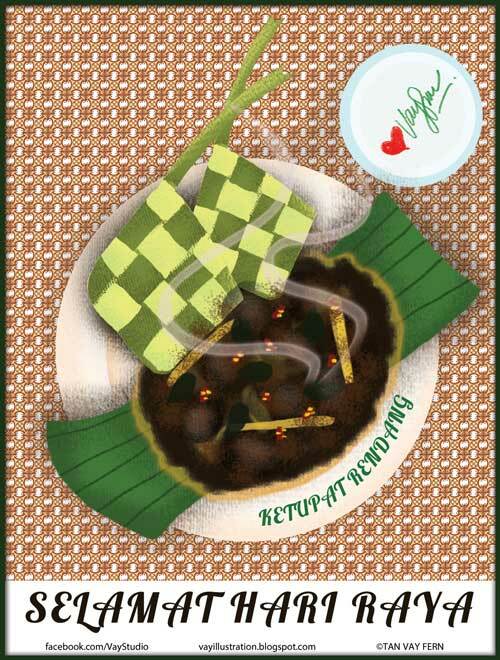 My attempt at illustrating Ketupat Rendang, one of my favourite dish at any time, not just Raya tongue emoticon Apologies if it doesn’t look like rendang. So delicious, and so so challenging to draw! Makes me hungry too. Selamat Hari Raya! Enjoy eating till your heart’s content! Next Next post: Happy Mid-Autumn Festival!